We are excited to announce the next sermon series which will begin next Sunday April 2 and include the Easter Season. 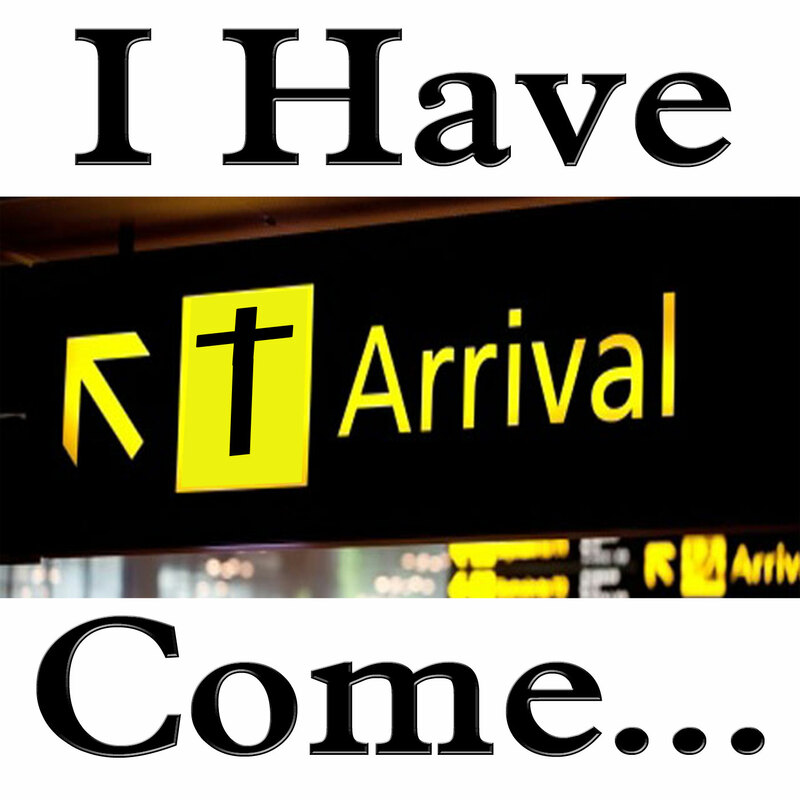 We will take a break between Ezra & Nehemiah to focus on Christ’s coming and why He came. This series, and the Easter holiday, will be a great time to visit for the first time or invite friends to come try out BCBC and hear a message that may get them thinking. It will present the Gospel in a way that is different than what might be expected. It will also be a good challenge for regulars as we further examine what it means to live the Gospel life. The first week “Seeking” will include an interesting look at the difference between faithfulness and fruitfulness. This will be followed up the next week with “For This Purpose” which will look at a specific part of Jesus’ purpose in coming. This will fall on Palm Sunday. Part 3 will actually be on Good Friday, April 14. The theme that night will be “The Cut of the Cross” and will look at some of the conflict that comes with the message of the Good News. Sunday will then be Easter and we’ll discuss “Here and There” which will help us examine our eyesight. Second service that day will also feature a cantata by the choir. The week after Easter we hit Part 5 with “Light & Dark” which will further discuss our sight as well as our heart condition. The series will end up on April 30th with Part 6 “Glory & Hope” and we will take an interesting look at what glory means and how we get it. We are excited for this April series and hope that you are able to join us for the study. Bring a friend and join our community as we seek to know the One who came for us. Looking ahead, in May we will be looking at “More to Restore” with Nehemiah. Exciting spring!! 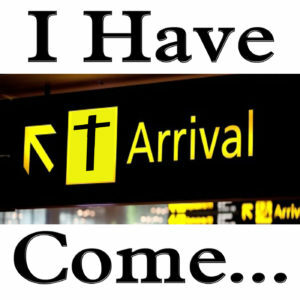 When Jesus came to earth, He was very clear why He was here. “For the Son of Man has come to seek and to save that which was lost.” (Luke 19:10). In His three years of public recorded ministry, His primary accomplishment was to make disciples. These disciples went on to reach many others and make more disciples. This is the Mission from God. Before Jesus left, he instructed His disciples to Make Disciples while going, teaching, and baptizing. He had made His Mission the church’s Mission. Our Mission. We know that the Church is us. It is you, if you are a follower of Christ. Therefore, it is Your Mission. 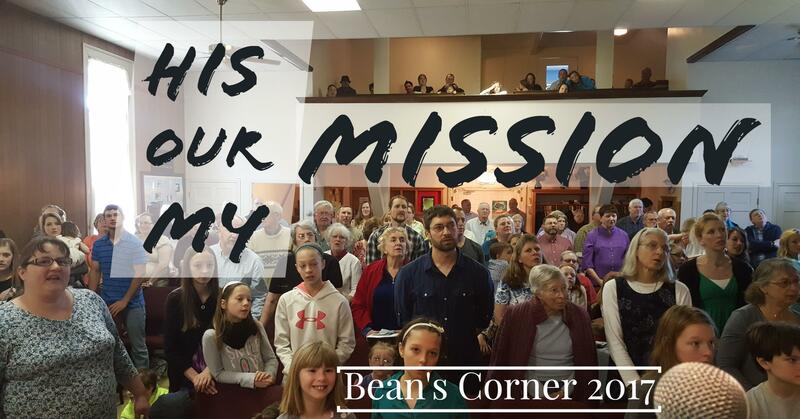 Are you on Mission? Are you working to make a disciple? Over the next few months we are going to be working together as His church to fulfill His Mission. Our Mission. Your Mission. That’s why we’re here, and if we’re not following and fulfilling His Mission, we are in fundamental disobedience to our Leader and His directive. 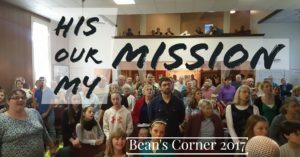 There are many things that we can do this year, but one of them will be to invite our friends to join us at Bean’s Corner as we pursue Christ. This Spring/Summer there are going to be many great opportunities to invite others to come and see what this is all about. We’re also going to keep working on helping give you the tools and encouragement to fulfil the Mission and spread the Good News of Grace. This is our job so let’s get busy! !